My husband loves maple walnut flavoured ice cream. For me, I have to be in the mood for it. Something about nuts in ice cream has always made me raise an eyebrow. No real reason for it, it just weirds me out…I’m silly ofcourse. Thinking about the flavours themselves though they sound oh so tasty. Especially for a cookie. So, for this week’s Engel game night I made up an attempt. The maple is only a hint but the walnut is definitely there and nummy. From the feedback I have received my husband and our other guy gamer loved these. I call that a win! 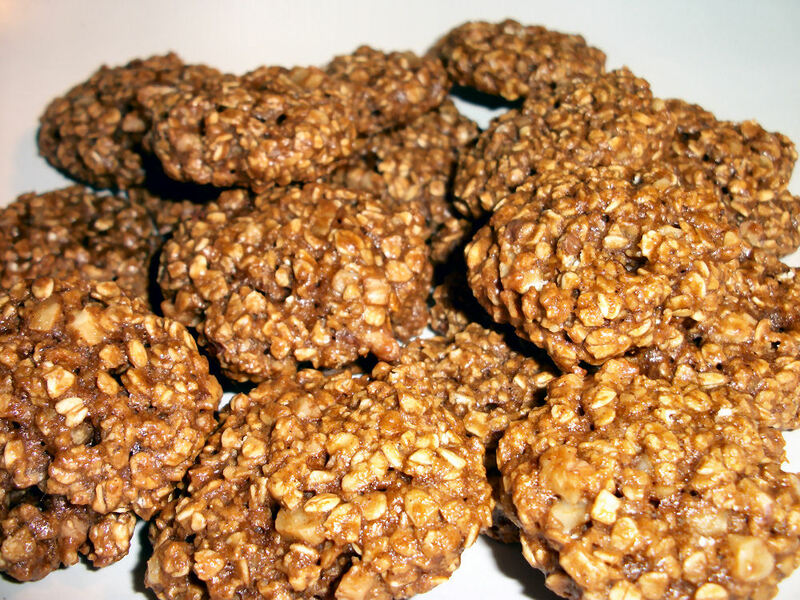 This recipe is full of tasty whole grain stuff and omega 3’s from those walnuts. Healthy omnoms. In a large bowl combine the margarine, brown sugar, splenda, molasses, egg white, and maple syrup until smooth. In another bowl combine the flour, cinnamon, and baking soda. Stir in the oats and walnut pieces. Refrigerate for 1 hour. Drop teaspoon amounts onto a baking sheet and bake for 15 minutes at 350F. Transfer to a wire rack to cool. You can shape these cookies but it will be messy to do so. Makes 20 cookies. Each cookie contains 58 calories, 2.8 grams fat, 7.7 grams carbs, 1 gram fibre, and 1.7 gram protein. I have to say these are great with tea, even the not so great tea I was having that night. This entry was posted in Comfort Foods, Craving Buster, Dessert, Snack and tagged maple, Oatmeal, walnut. Bookmark the permalink.